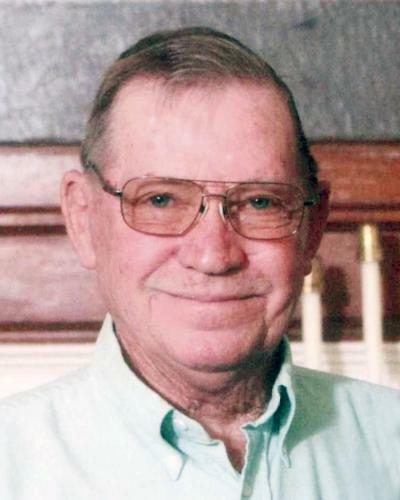 Elmer Jack Adamson, age 76, resident of Fort Scott, Kan., died Friday, Feb. 1, 2019, at St. Francis Hospital, Wichita, Kan. Jack was born Dec. 19, 1942, in Fort Scott, the son of Paul King Adamson Sr. and Edna Ellen Deeds Adamson. He graduated from Uniontown High School with the class of 1960. He married Mary Alice Henderson on Jan. 11, 1964, in Miami, Okla.
Jack worked for Frisco and then Burlington Northern Railroad for over 35 years. He enjoyed hunting, fishing and farming. He loved spending time with his family. Survivors include his wife Mary of the home; a son, Doug Adamson and wife Carol, Fort Scott; a daughter, Melissa Davis and husband Ron, Butler, Mo. ; two sisters, Marilyn Harrington, Paola, and Beatrice Alt, Fort Scott; three grandchildren, Joshua Adamson and wife Stacey, Ashley Adamson, and Ethan Clark and wife Amanda; one great grandson, Kasen Clark; three step grandchildren, Terri Manley, Cody Davis and Ronna Davis; and numerous nieces and nephews. He was preceded in death by three brothers, Paul “Dobber,” Richard “Sonny” and Frank Adamson; a sister, Patricia White; and his parents. Rev. Chuck Russell conducted funeral services Monday, Feb. 4, at the Cheney Witt Chapel. Burial followed in the Centerville Cemetery, Devon, Kan.
Memorials are suggested to Care to Share and may be left in care of the Cheney Witt Chapel, PO Box 347, 201 S. Main, Fort Scott, KS 66701. Words of remembrance may be submitted to the online guestbook at cheneywitt.com.